La Feria Mayor Olga H. Maldonado has been appointed to the board of directors of the Lower Rio Grande Valley Development Council. She and the mayors of Rancho Viejo and City of Primera, Cyndie Rathburn and David Kusch, were appointed by a small town coalition to represent three of the Valleys smallest cities. The appointments were announcement by Tony Gutierrez, chairman of the Lower Valley Hispanic Chamber of Commerce. 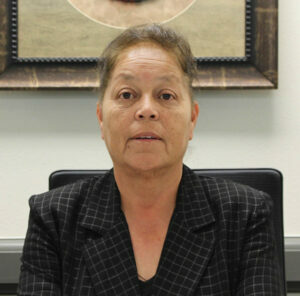 Maldonado, who is also chief with the Mercedes Police Department, could not be reached for comments as she has been recovering from an injury she suffered in mid-May. Gutierrez, a former chairman with LRGVDC, said the small cities coalition was formed several years ago due to the lack of representation from this sector. The LRGVDC was created in 1967. Gutierrez said the council was first created to oversee the distribution of federal money to the Valley and it has being doing that through another organization called Amigos del Valle. Written by: admin on June 29, 2018.on July 3, 2018. Mayor, you will enjoy being on that board. I was on it while mayor of La Feria many years ago. You will really have an understanding of how a lot of things work.